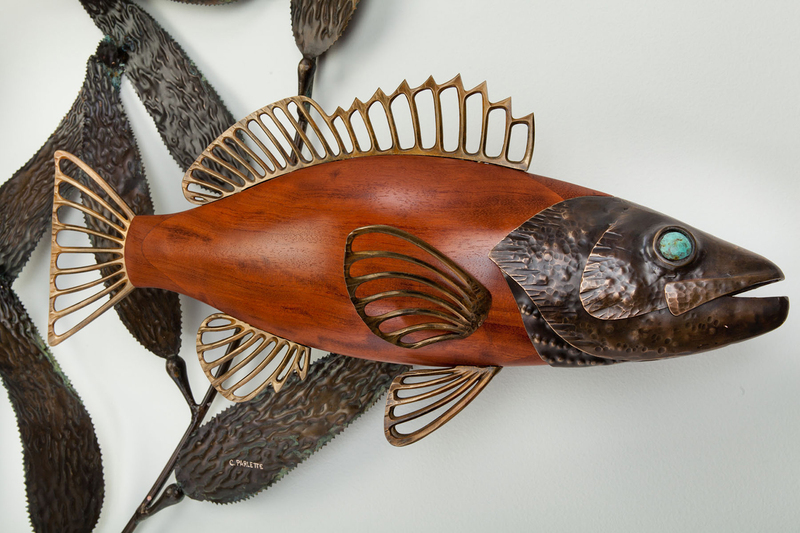 The checkerboard patterning of bubinga wood is similar to that of the calico bass. 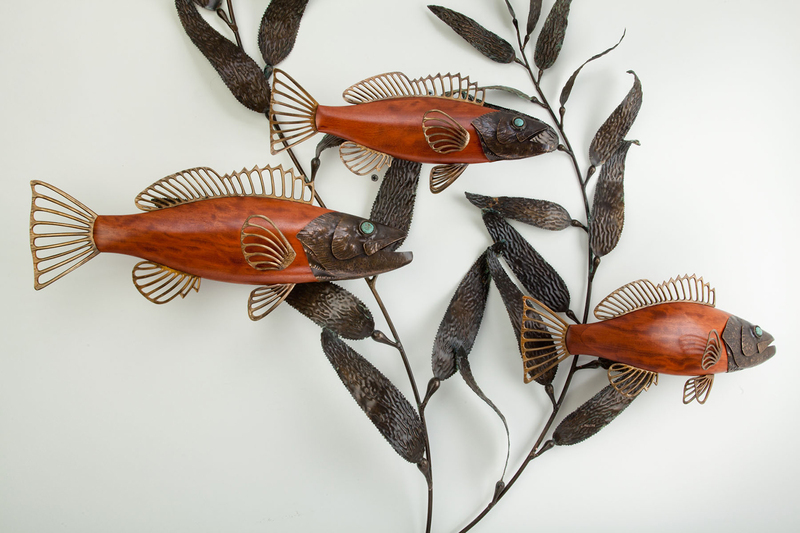 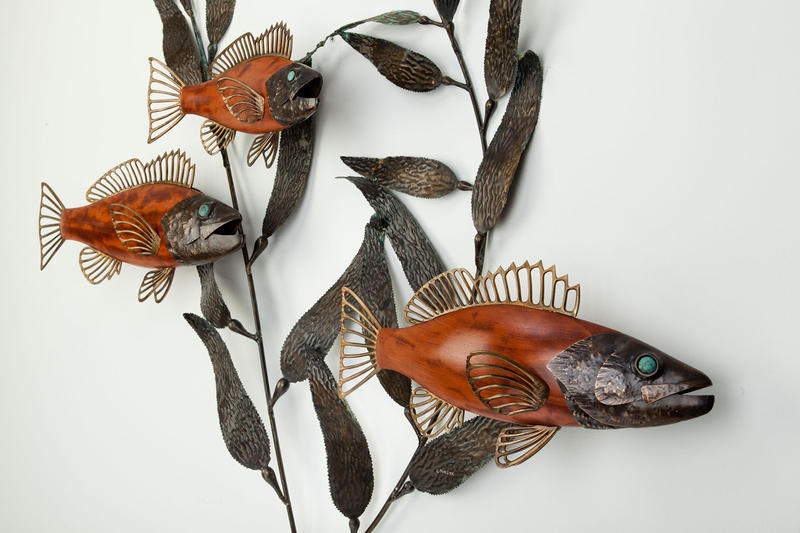 This fish sculpture features a school of calico bass swimming through flowing kelp. 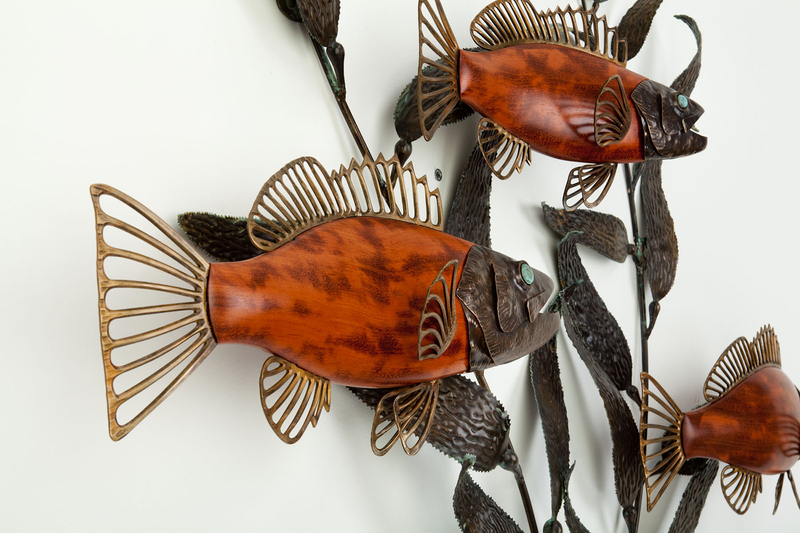 The goal was to capture the flow of this fish as well as the movement of the environment in which it lives. 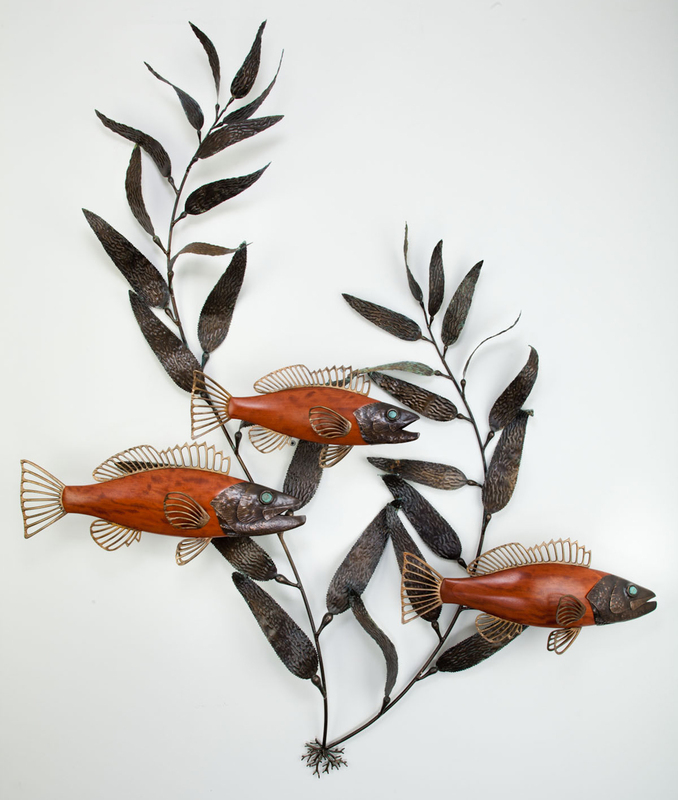 The bass are made of bubinga wood and bronze. 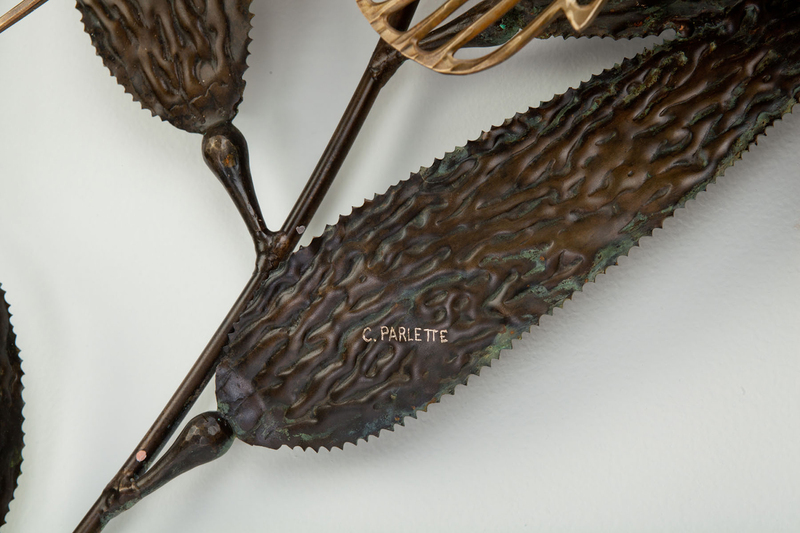 The kelp is hammered and welded bronze.